Two story townhome in desirable Cherry Creek School District! This home is within walking distance of elementary, middle and high schools. The homes open first floor incorporates a living room with gas fireplace, dining room, kitchen and powder room. The second floor features a master suite with walk in closet along with 2 bedrooms and full bath. A convenient second floor laundry room with make laundry day a cinch! Enjoy grilling on the homes large back patio with spacious fenced in yard. 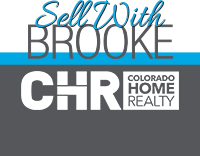 Close proximity to Cherry Creek State Park, golf course and shopping. Great access to E-470.